The Zen teaching of Hui-neng. 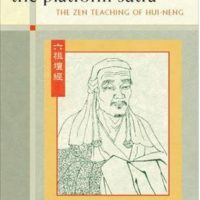 The Platform Sutra occupies a central place in Zen (Ch’an) Buddhist instruction for students and spiritual seekers worldwide. It is often linked with The Heart Sutra and The Diamond Sutra to form a trio of texts that have been revered and studied for centuries. 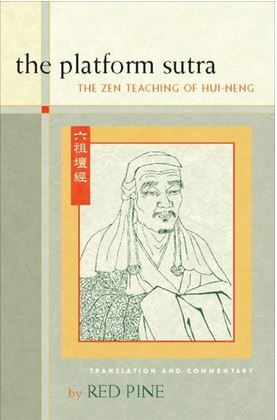 However, unlike the other sutras, which transcribe the teachings of the Buddha himself, The Platform Sutra presents the life and work of Hui-neng, the controversial 6th Patriarch of Zen, and his understanding of the fundamentals of a spiritual and practical life. Hui-neng’s instruction still matters— the 7th-century school of Sudden Awakening that he founded flourishes today, continuing to influence the Rinzai and Soto schools of contemporary Zen. Red Pine offers a sensitive and straightforward translation of this vital Buddhist text. His remarkable insight and commentary provide a guiding hand for seekers and students in their spiritual quest.